When it comes to my skin, I look for moisture wherever I can get it. 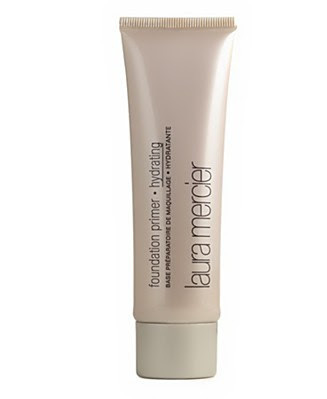 So when I came across Laura Mercier Hydrating Foundation Primer, I figured it was worth a shot. And you know what? Ever since I started using it, my face has never looked better! A simple dime-sized amount each morning and my skin is fresh, dewy and glowing. No matter how much I cake on top of it, somehow this baby really makes my skin look and feel radiant all day long. I love the consistency of the formula, created with tons of antioxidants including Vitamins A, C and E to protect against harmful environmental factors. Only a dime-to-quarter-sized amount is necessary to cover the entire face, so you'll be able to hold onto it for quite some time. Laura Mercier Hydrating Foundation Primer retails for $33 at spacenk.com. I use only Laura Mercier products....they are well worth their money. Her stuff goes on flawlessly. It looks like I am not wearing makeup, nor does it feel that way. I love her stuff, and this primer is great.